Posted by dutchgrub	on Thursday, August 20, 2009 at 09:03. 1 Comment. 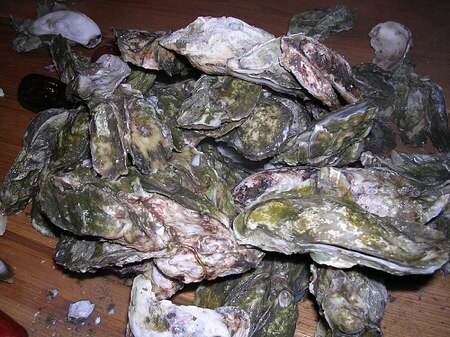 Slowfood Netherlands is organizing an oyster party on September 13 in cooperation with Slowfood New York. 400 years ago Henry Hudson discovered the island of Manhattan and founded New York, then known as New Amsterdam. The local Indians received him well with oysters. To celebrate the anniversary the Slowfood organizations of the Netherlands and New York are throwing a big oyster party. The event will take place on September 13 in restaurant Kompaszaal on Loods (dock) 6 at KNSM-Laan 311. From 4pm to 6pm there will by oyster tasting and presentations by two oyster experts. The party will follow with oysters, movies and live jazz music. oh man. wish i could be there!!! !